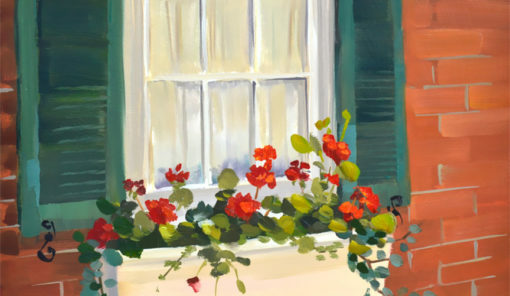 Red Geraniums featured in a white window box. 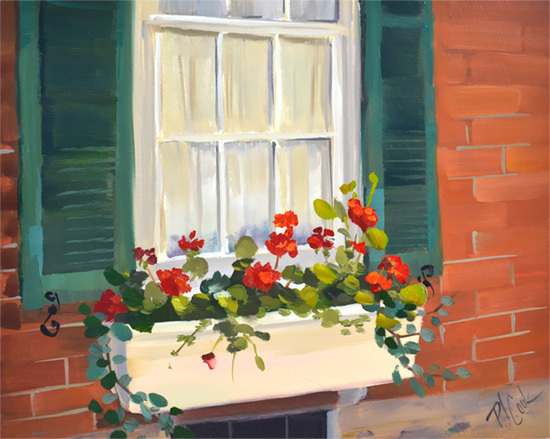 A brick house with a white window box filled with red geramiums. 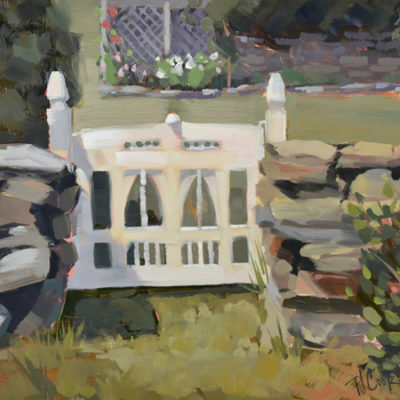 With this side of the house in shadow there is a meditative tone to this painting. 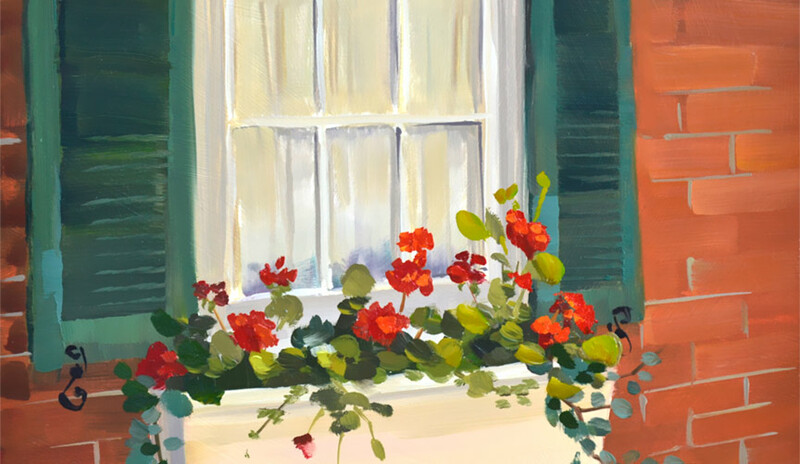 The darker brick and green shutters frame the old window with the red geraniums. Even though this is a smaller painting I was able to get most of the architectual detail in. Working wet into wet I often had to use just one brushstroke to portray some of the areas in this oil painting. Artist Notes: This painting is an original work of art by PJ Cook. Oil on Ampersand gessobord 8″x 10″ size. Sold unframed. Professional materials used throughout. Signed by the artist front and back. All purchased artwork is carefully wrapped and packaged for shipping. Most artwork is shipped one day after payment unless otherwise stated. Sometimes the oil paint is still drying and cannot be shipped immediately. But most of the paintings are ready to go. There is a full refund within 14 days of purchase. Thank you for your interest in my original art and please contact me with any questions. Quality wood picture frame can be purchased for approx. $80. 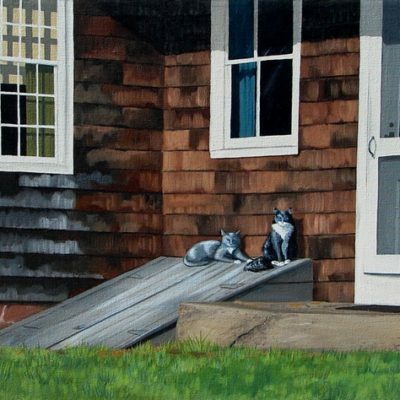 (depending on size) and the painting would arrive ready to hang on your wall. 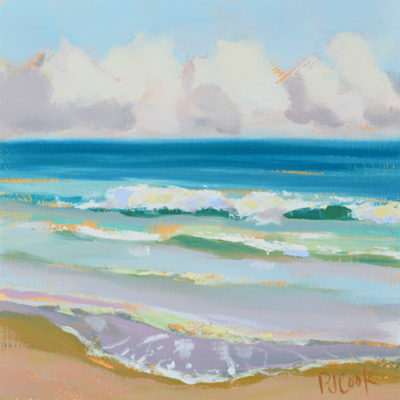 Send an email pj@pjcookartist.com for more details or with any questions.